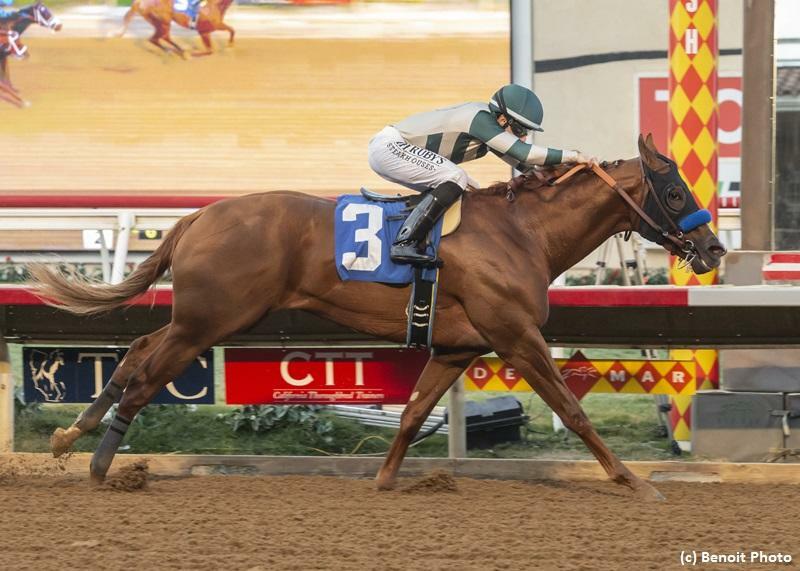 Six two-year-old prospects will vie in Saturday’s $300,000 Los Alamitos Futurity (G1). The Futurity is part of the Road to the Kentucky Derby series, offering points on a 10-4-2-1 basis for the top-four finishers. MUCHO GUSTO has yet to be headed from a pair of lifetime appearances, with a stylish win on this race course in September among those. The chestnut colt returned with a workmanlike tally at short odds in the Bob Hope, and I expect him to take a big step forward in his two-turn debut. He missed some time this campaign and improvement is fully expected in his second venture to Los Alamitos. Mucho Gusto fetched a hefty final bid of $625,000 at the Fasig-Tipton Midlantic sale in the spring, and he looks like he is well worth the investment. The Kentucky-bred son of Mucho Macho Man received pressure at Del Mar throughout the Bob Hope but never wavered as he looked to be at his best as the race went on. He is by a Breeders’ Cup Classic (G1) winner out of a Giant’s Causeway mare, which tells me that route racing will be in his wheelhouse. The April foal gets a very good draw on the outside of the Futurity field and he figures to get a dream trip. Mucho Gusto has his main pace rival drawn inside of him and I expect the chestnut to force the pace early with a clear run turning for home. Baffert has won this race in each of the four years’ since it has been moved to Los Alamitos. And it looks like a fifth trophy is well within reach.